The current Dunn is not in anyway friendly to pedestrians or bikes because of its elevation and steeply sloped ramps. (The pedestrian ramp to the top on the Albany side feels remarkably steep.) 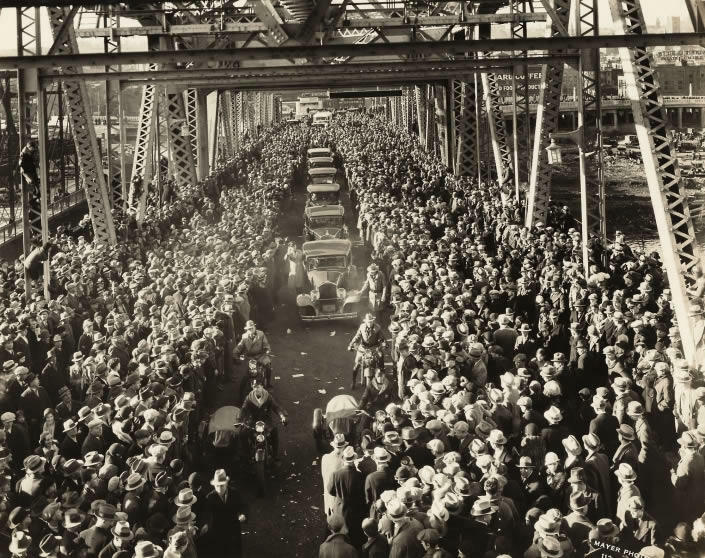 But the ramps for the old bridge, which was built in the early 1930s? You can maybe see an alternate timeline in which that's fixed up so it's not so unfriendly to people who are not in cars. "So what," you ask? Fair question. Well, a lot of people would like to see 787 take on some different form -- maybe a boulevard. As we've written before, that is a seriously complicated problem to untangle in large part because of the current elevation of the Dunn Memorial Bridge and the South Mall Expressway. So maybe the point here is just to highlight how designs made half a century ago can shape the set of options we all have today. The best time to start planning is always in the past. That's a good reason to think about the future now. 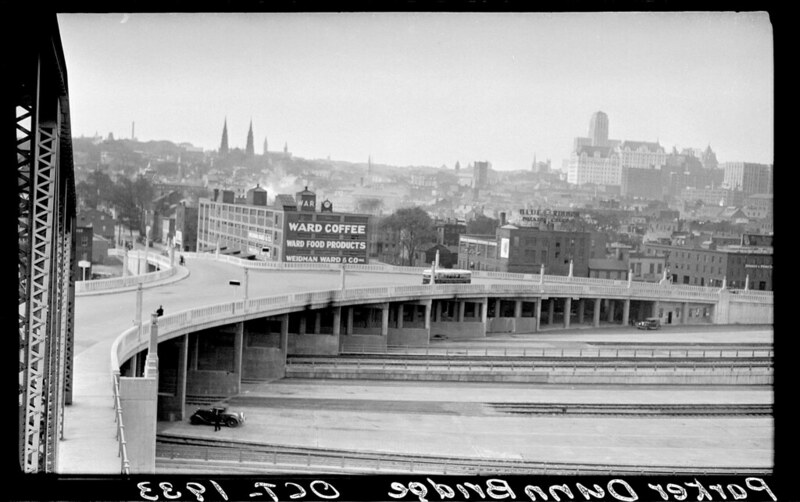 The Dunn Memorial Bridge -- both versions -- is named after Parker Dunn, a Albany native who died in France during WWI while serving in the US Army. He was awarded the Medal of Honor. 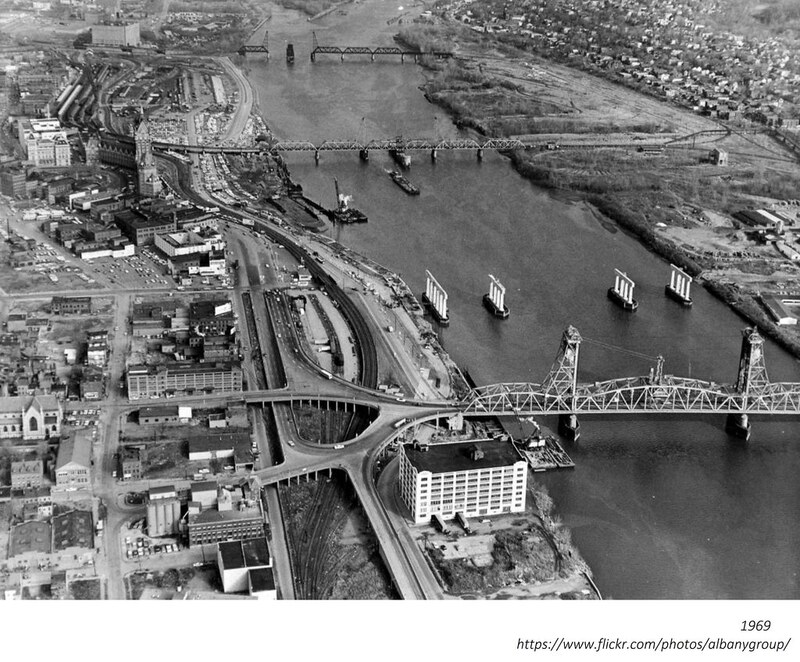 Interested in more history of the Dunn Memorial Bridge? Cross over to Hoxsie.